Most people celebrate their 30th birthday with family and friends at a nice restaurant, or a gathering of sorts with those you love. Maybe the bold book a weekend getaway or a nice trip somewhere warm. I on the other hand planned a week long trip to Alberta, Canada to ring in 30 dog sledding, skiing, and snow shoeing through Banff National Park. As crazy as it sounds, I booked a trip to Northern Canada in February when temperatures consistently stayed in the negatives and single digits - and not celsius. There is nothing wrong with celebrating at home and a trip to the Caribbean always sounds good. But when you want something unique, within your budget, and to explore a beautiful place in the off season (less crowds, cheaper), you head to Canada in February. 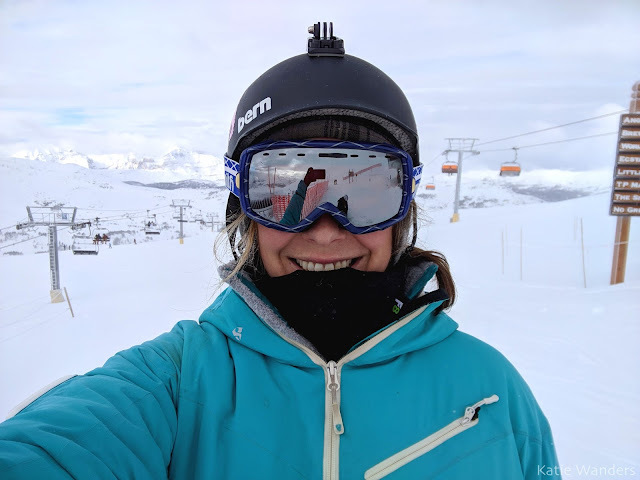 In true KW style, the itinerary was packed and my first full day in Canada was spent on a ski mountain. Jet lagged and on 5 hours of sleep but none the less, out on the mountain. The alarm went off at 7am and it was a quick shower and coffee before loading up the car. We heading downtown to the Adventure Hub on Main Street to pick up my lift tickets, stopped at the Visitors Center to pick up a National Park Pass, and Wildflour for (another) coffee and breakfast sandwich. By 9:15 we were on the road for the 15-20 minute drive to Banff Sunshine to spend the day skiing in the sunshine fresh snow. Here is what planning for a week (and turning 30!) in Banff/Alberta Canada looks like. 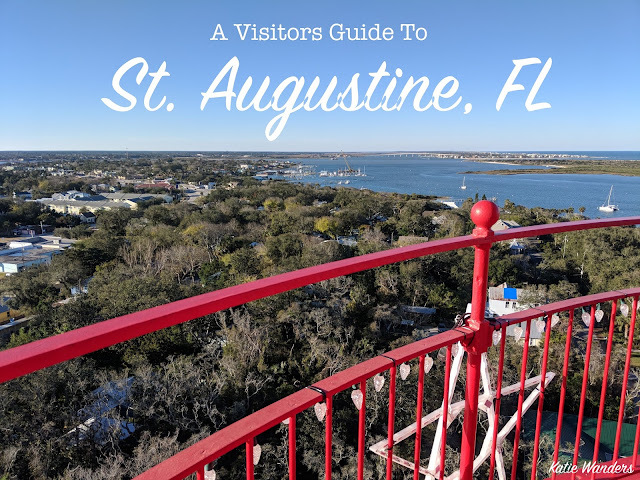 A Visitors Guide to St. Augustine - Sites, Video, and Where To Eat! A long weekend in historic St. Augustine, Florida was just what I needed to kick off 2018. Some sunshine, exploring, and Katie Wander-esque sites to see. Add in some fantastic food and a road trip to see some manatees and you have a wonderful four days away. Why visit St. Augustine? The history and the charm of visiting the oldest continuously settled City in the United States, St. Augustine. Stay for the food, the alligators, the historic lighthouse, and the free boozey tours. You probably know my favorite way to give you a taste of a new place is A) through a post like this and B) through a recap video. Here is my video recapping a fantastic four day in Northern Florida. And after that video got you all excited to visit, here is my guide to whats worth seeing, whats worth eating, and the few extras I did not have time to do (but maybe you do!). 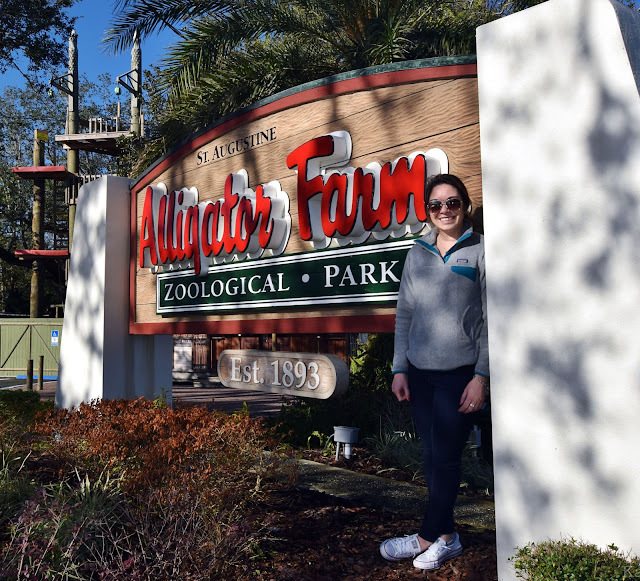 It's not every day that "trip to alligator farm" makes it to the top of your daily itinerary. In fact, that has never appeared on my "must see" list until my trip to St. Augustine, Florida. 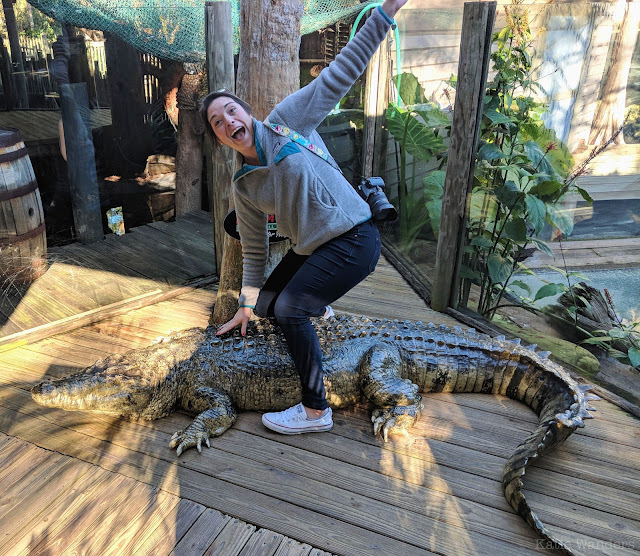 It seemed educational and something to do (and I love a good zoo/aquarium) but alligators aren't always the cutest or cuddliest of creatures. Let's be honest, I had just spent the day before swimming with manatees..... hard to beat, reptiles. I have to say, I was pleasantly surprised to see how much there was to do and see at the Alligator Farm Zoological Park. This trip to the alligator farm came in a close second with its own unique aspects and opportunities. My attitude entering: Eh, alight, and then (in my best mock southern accent) going to see some 'gators - Goin' to Gator Country. My attitude leaving: Did you see how adorable those little crocodiles were? I just fed one. Well like seven. Did you see Mad Max begging for treats, did you know alligators beg for treats? 36 species of crocodilian? Croc facts for days. And finally, DID YOU SEE THAT PARROT? Can we bring him home? Conclusion: When given the chance to visit an alligator farm, always say yes. Northern Florida is full of history from ancient ports to historic forts (see what I did there?). But, I bet you didn’t know northern Florida was also home to one incredibly unique marine mammal encounter. I’m not talking a dolphin swim in a closed exhibit type-of-experience at Sea World, but instead a chance to get in the water with one of Florida's most famous critters in their natural environment, the manatee. 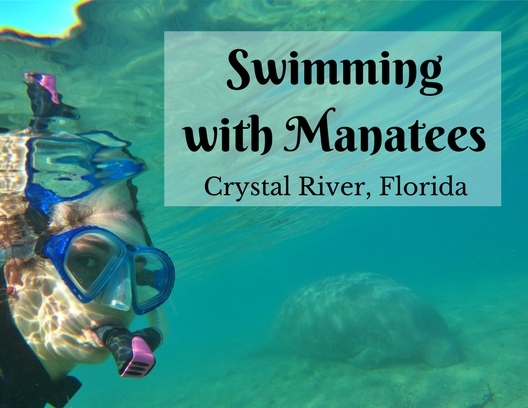 Crystal River on the west coast of Florida is famed to be the only place in the U.S. where you can (legally) swim with wild manatees. It's here in Florida where manatees seek refuge from the cold Gulf of Mexico, spending their winters in the warm 71 degree springs. This unique opportunity to see manatees up close and personal is possible through a collaboration between U.S. Fish and Wildlife and various tour agencies around the area. Weekend Warrior and New England Native who moved from CT to UT and back to CT. Lover of the ocean, the mountains, Billy Joel, neon, lobsters, and my dog. This blog follows my travels around the U.S. and abroad, hiking, diving, and skiing my way across the globe. Katie Wanders is a participant in the Amazon Services LLC Associates Program, an affiliate advertising program designed to provide a means for sites to earn advertising fees by advertising and linking to amazon.com.